Have you always wanted... to be a Banker? To lend out money? To be essential for an economy? This is your chance! The game where YOU make the money! Issue credit, use it as if it is money, steer the economy! In a trading town during the Golden Age it is your job to push Fractional Reserve Banking to its limits. 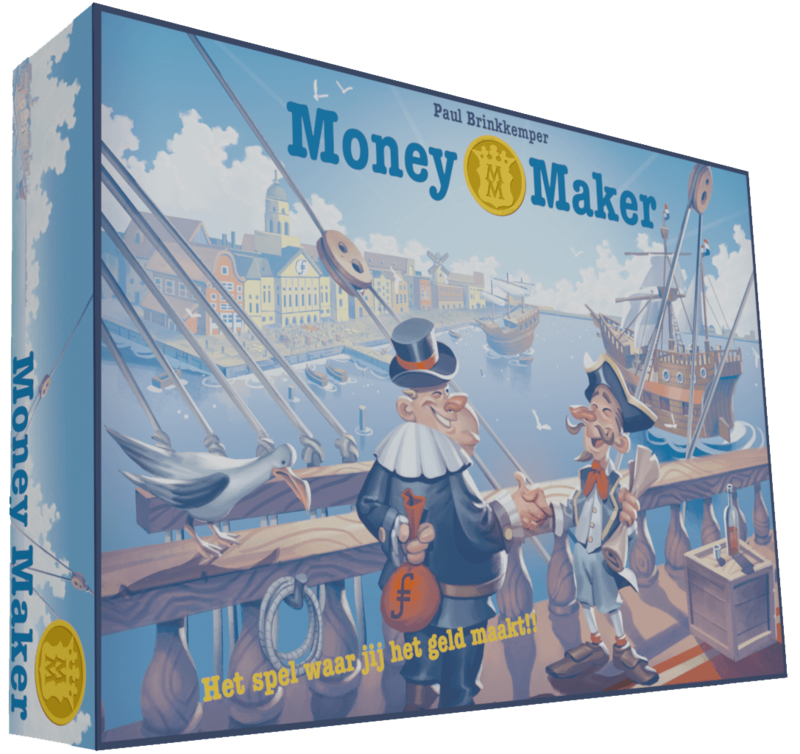 Money Maker truly is a wonderful game that easily demonstrates the effects of the monetary system on our economy and behaviours. It is both fun and serious. 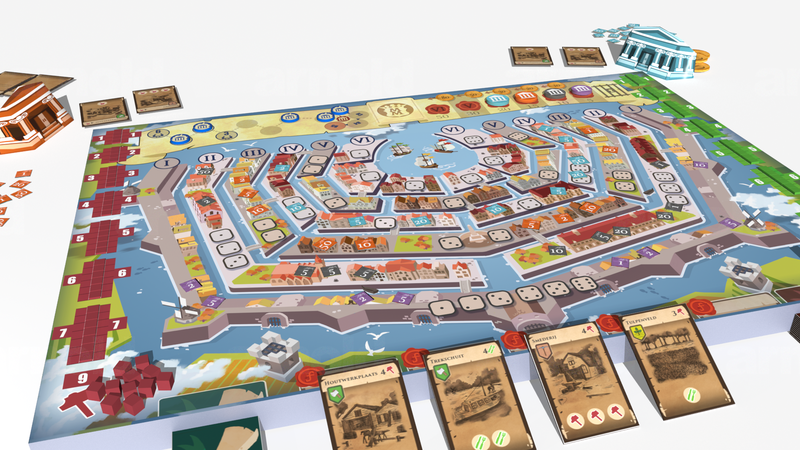 The game is set in the 17th century - the Golden Age of both the financial system and the Dutch economy. Not coincidentally was it the period that featured a government-sanctioned full-reserve bank. To give players additional information we also include a “Lore book”, an evolutionary tale of banking & finance. 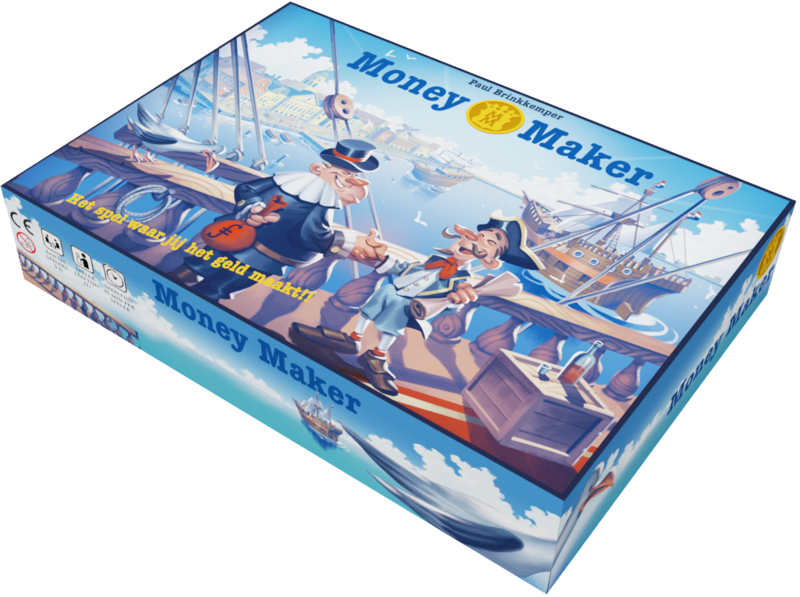 Money Maker is a combination of Catan, Monopoly and Poker. As opposed to Monopoly, where the bank is a side actor, in Money Maker every player is a commercial bankhe goal of the game is to end up as the richest bank, meaning the bank with the most money, or the one least indebted (lowest negative score). Every player is a commercial bank. 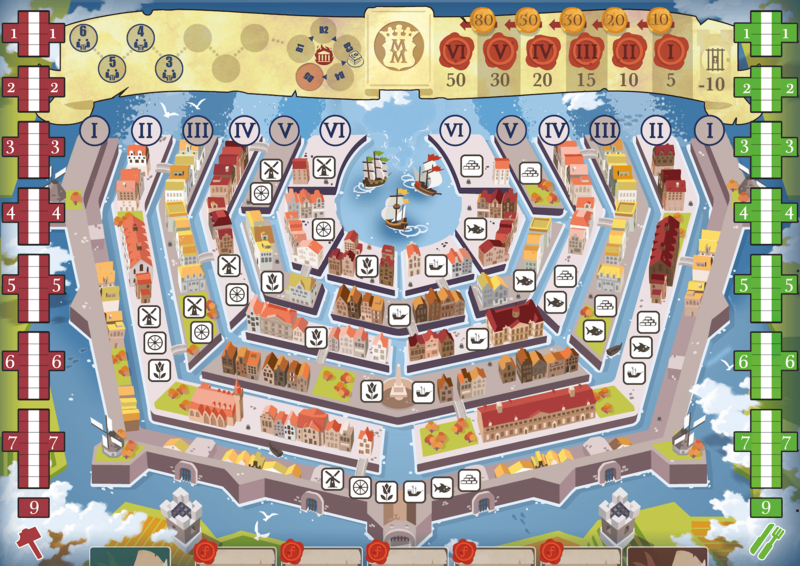 It is your goal to end up as the richest bank of Amsterdam. You do this by earning as much money as you can. Luckily, you have an endless supply of credit to invest! 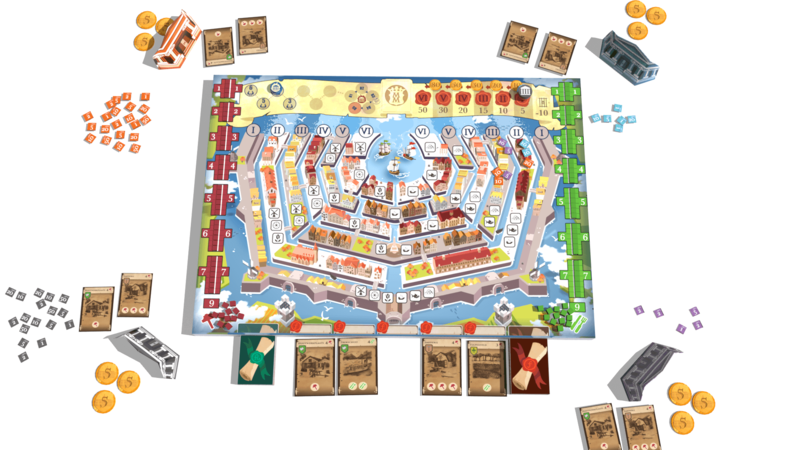 Bid against your friends to acquire valuable companies. The highest bidder is allowed to invest in the company using their bank credit. Using the companies you invested in, produce consumption or production goods. Sell the goods to the markets, earn money, and hopefully make a profit! bank vaults (to keep your belongings secret and create an element of surprise), money coins, credit pieces, goods & markets, cards with investment opportunities, "chance" cards, regular and special dice, the game board, international manual & lore book. Player's banks have a limited supply of money at their disposal and an unlimited amount of credit. 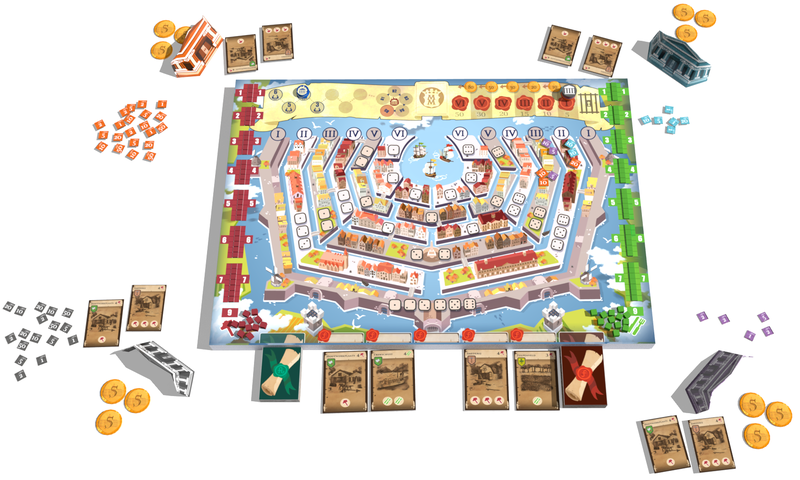 The game contains two "markets" filled with wooden blocks. One for consumption goods (green) and one for production goods (red). 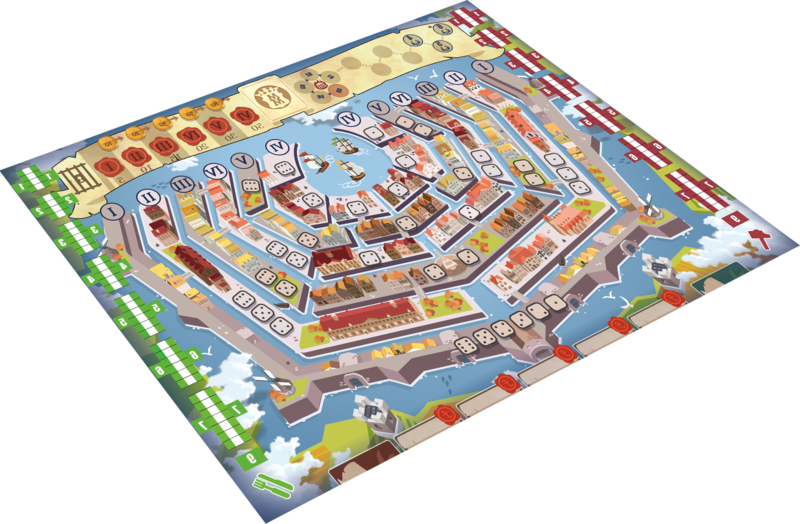 The board represents the city of Amsterdam with its canals. 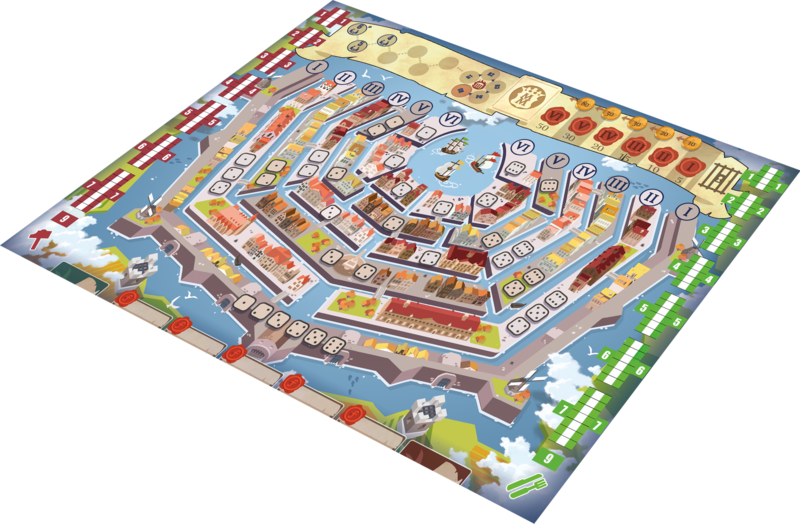 The city visualizes the flow of credit through an economy as well as functions as a playful balance sheet. The moats from the outside in represent credit ratings. Every player starts in the outer ring. When banks successfully pay off their credit, they may upgrade to higher credit rating levels where they can take larger risks! The concept concerning "Board Game Money Maker" has been filed with the Ministry of Economic Affairs (the Office for Intellectual Property) and Cooperative Money Maker U.A is registered under number 102543. KVK: 69719756.